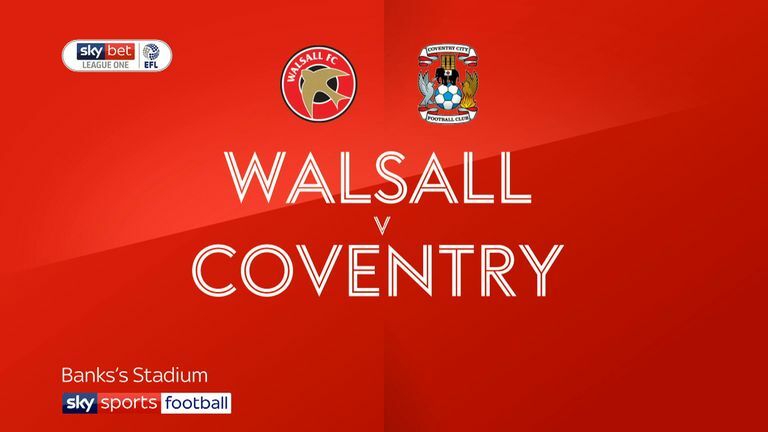 Highlights of the Sky Bet League One match between Walsall and Coventry. 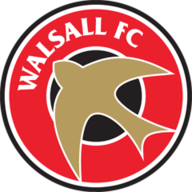 Left-back Luke Leahy scored twice in stoppage time as Walsall came from behind to stun West Midlands rivals Coventry 2-1 in a feisty derby. Walsall trailed most of the game to Luke Thomas' opener but, in the first minute of time added on, Leahy beat City keeper Lee Burge to Saddlers stopper Liam Roberts' long ball to head them level. Then, with 94 minutes gone, Leahy rolled home the winning penalty after Saddlers right-back Nicky Devlin was tugged back in the area by Junior Brown. 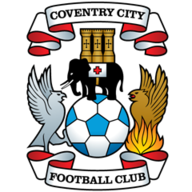 Coventry paid the price for wasting a host of second-half chances to seal the points after Thomas' 18th-minute opener. The Derby loanee controlled a clearance on his chest 12 yards out, letting the ball drop and rifling a fine half-volley past Roberts. Isaiah Osbourne blazed over from 10 yards for Walsall after the break before Roberts made superb saves to thwart Jordan Shipley and Thomas, the latter from only a couple of yards out. City substitute Jonson Clarke-Harris then drilled a one-on-one chance wide before Leahy's late double made them pay.